The history of the electoral farce in Brasil dates back to the imperial period with the census district ballot based on the profit and propriety of lands and slaves. One more accurate look at this sad history will confirm the rottenness of a State reaching its final throes. With the installation of the Republic by the same ruling classes, that is, semifeudal ones, its federative character has reinfoced the landlords power in its jurisdiction and this has strengthened the appearing of the elections “at the quill pen”, i. e. ,with the elected persons minute produced by poll workers indicated by the colonels. With such a farce, the great majority of the Brazilian population was excluded since women, militaries, illiterate people, the vast mojority of peasants and indigenous people did not have the right to vote. The vote was so secret that most of the empowered electors did not know whom they had voted for providing they received a ballot already completed with the names of the colonels in a sealed envelope. This persisted till 1930 when a military movement led by Getúlio Vargas displaced from central power of the old State the lords of the lands. Different than what has been denominated “1930 Revolution”, nothing changed in the State and society class character; there was just a restructuring in which the bureaucratic fraction of the big bourgeoisie, associated to imperialism, started being hegemonic. The electorate has enlarged itsel with the institution of the women’s votes, nothing more. With the defeat of the People’s Uprising in 1935, a new coup d’Etat was blown by Vargas in 1937, establishing the New State, a corporative-fascist regime that would last till 1945. The impulse accomplished by the international financial capital ( imperialism) to a bureaucratic capitalism grounded on a semicolonial rotten basis, maintaining the same State for big bourgeois and landlords, would not modify its structure of election fraudulent character. Only the forms for outflanking the electorate with new methods of oppression and corruption have become modern. Not even the women’s, militaries’ and illiterate persons’ integration to the process has modified the Brazilian political system that, as it could not be different, has been based on the “democracy’ for the small minority and dictatorship for the huge majority. The proof that we have never had democratic elections is that the highly financed electoral farce have become common and can be supported directly by imperialism as, in 1962, for destabilizing João Goulart Government, USA has used IBAD (Brazilian Institute of Democratic Action), an organization created by militaries, multinational agents and reactionary politicians under the supervision and funding of the Yankee embassy. Either in a disguised manner, elections sponsored by fees drawn from the landlords, contractors, transnationals of the financing system, as it has always occurred (everybody knows about the disclosures of “Lava Jato” Operation that has it wide open). For a long time it has been well known that the financial capital has been used for irrigating the old oligarchies which control the ‘electioneering corrals’ with the aim to perpetuate the local and regional power all over the country. Conversely, the oligarchies retribute to the financial capital with governors, senators and deputies properly tuned to the interests of their bosses and under the auspices of the national subjugation policies. In accordance with its characteristic to “give with one hand and take with the other”, the newspaper Folha de São Paulo published on August 19th, Sunday edition, a report that corroborates with AND analysis on the semifeudal condition of the Brazilian State. 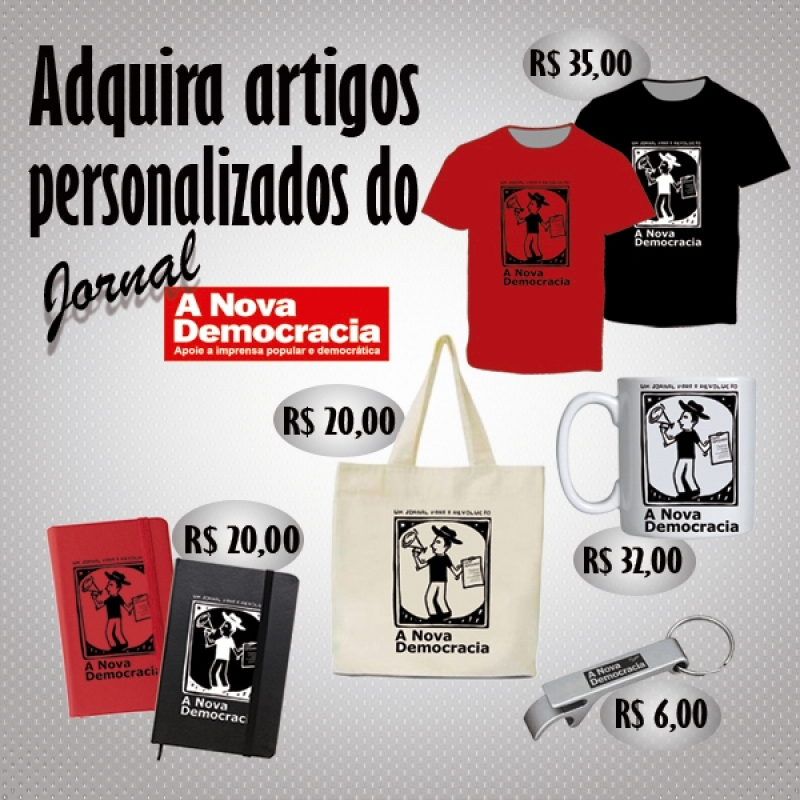 According to the report entitled “Political Dinasties in Brasil”, the so-called ‘dinasties’ launched more than 60 candidates on these elections. 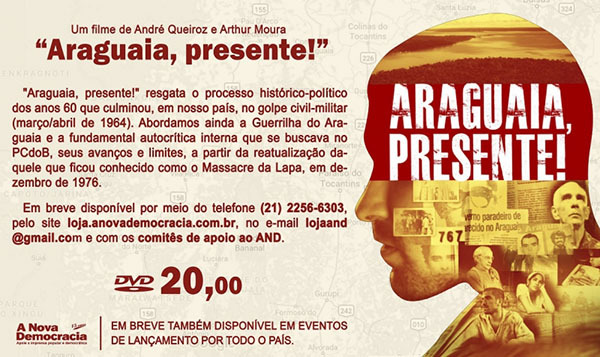 The exemple is the existence of regional oligarchies in the politics is represented by the Andradas. “A bicentennial parlamentar lineage that starts with José Bonifácio de Andrada e Silva (1763-1838), promoted to ‘ The Patriarch of Independence’, has produced Andradas politicians all over these decades and, depending of the disposition of the family, will continue producing them”, so states the report. The Folha de SãoPaulo’s survey affirms that in Brasil there are at least 20 large political clans, a clear proof of the persistent semifeudality of our society, an expression of the power of the local and regional oligarchies. Among the families who infest the Brazilian parliament - not to mention the most eroded of all, the distinguished Judiciary branch – the report detaches the Sarney, the Barbalho, the Ferreira Gomes, the Arraes, the Coelho, Calheiros, Camargo, Tatto, Cunha Lima, Maggi and so many others who are dinasties linked to old oligarchies that are not present at the report as the Magalhães, Lira, Cavalcante, Sampaio, Bezerra, etc., etc., etc. Its also from the Folha de SãoPaulo’s responsibility the survey that shows that 80% of the parliamentarians of the present National Congress will defend their return, many of them for not losing the privileged jurisdiction. And for that they have approved the party budget of R$1,7 billion with which the acronomys for the Single Party will support the electoral campaign of those who already have their seats, being more guaranteed than investing in a new candidate. Thus, the present parliamentarians will receive from the Brazilian State up to 3 million for guaranteeing their return, meaning no change whatsoever in such a pigsty named National Congress. The muddle revealed in order to make up the old order will not change the composition of the political Brazilian system. As much Globo Net and other branches of the monopoly media as the Electoral Superior Court know it but hypocritically try to deceive the voters.